Summers are soon going to hit New Zealand. 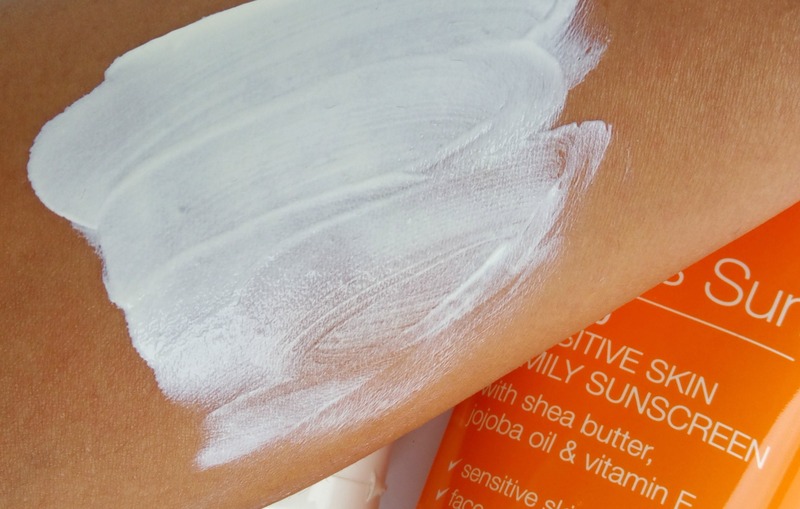 While I’ve learned so much about sun protection after becoming a beauty blog editor, There are a lot of my friends and family members who challenge the UV rays using a proper sunblock. How does a sunscreen help – A good sunblock/sunscreen (however you name it) protects your skin by absorbing and/or reflecting UVA and UVB radiation. 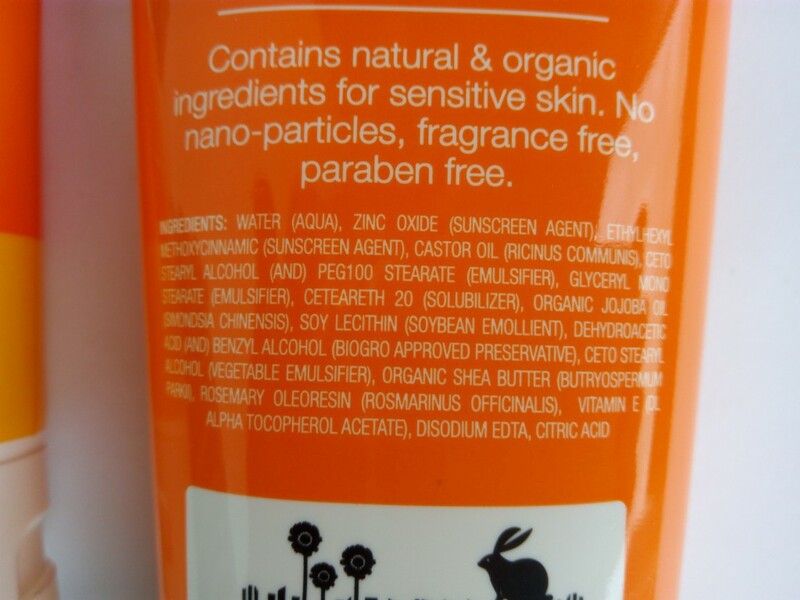 All sunblocks have a Sun Protection Factor (SPF) rating. 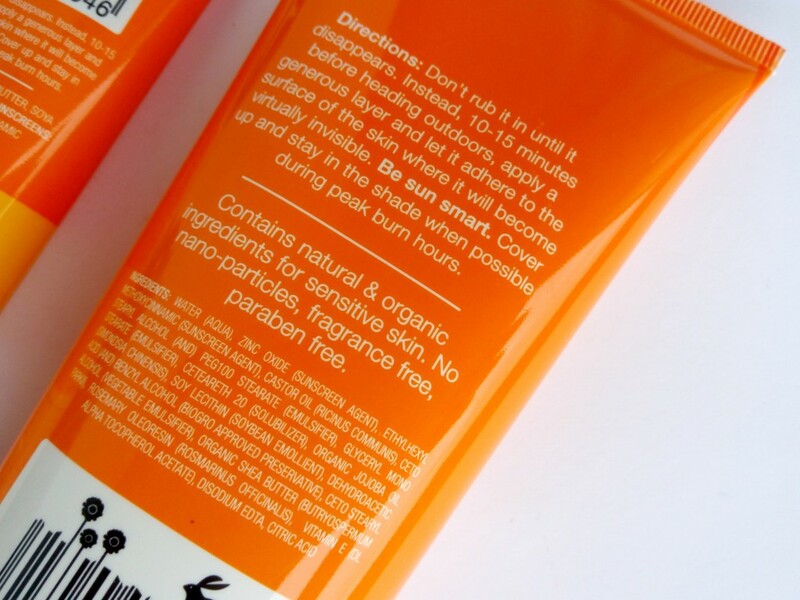 The SPF rating indicates how long a sunscreen remains effective on the skin. A user can determine how long their sunblock will be effective by multiplying the SPF factor by the length of time it takes for him or her to suffer a burn without sunscreen. How to generally use a sunscreen / Should we reapply it – For instance, if you normally develop a sunburn in 10 minutes without wearing a sunscreen, a sunscreen with an SPF of 15 will protect you for 150 minutes (10 minutes multiplied by the SPF of 15). 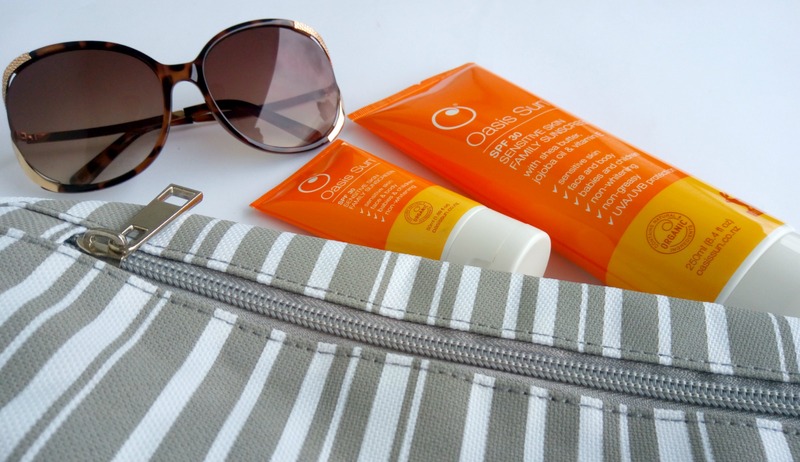 Although sunscreen use helps minimize sun damage, no sunscreen completely blocks all wavelengths of UV light. Wearing sun protective clothing and avoiding sun exposure from 10 a.m. to 3 p.m. will also help protect your skin from overexposure and minimize sun damage. 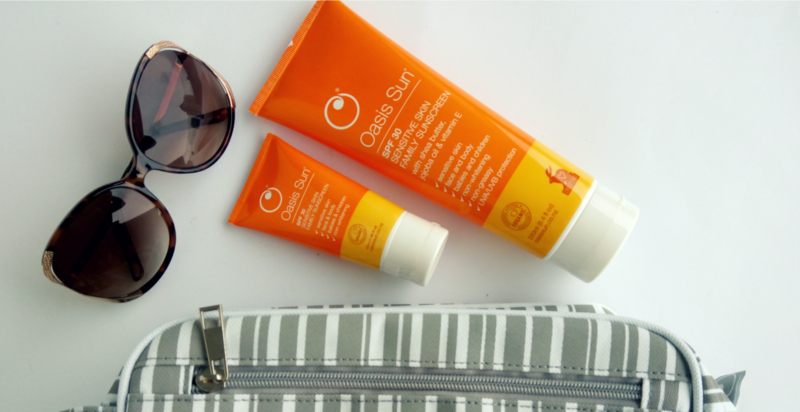 In today’s post, I am reviewing Oasis Sun SPF30 that suits even the sensitive skin. 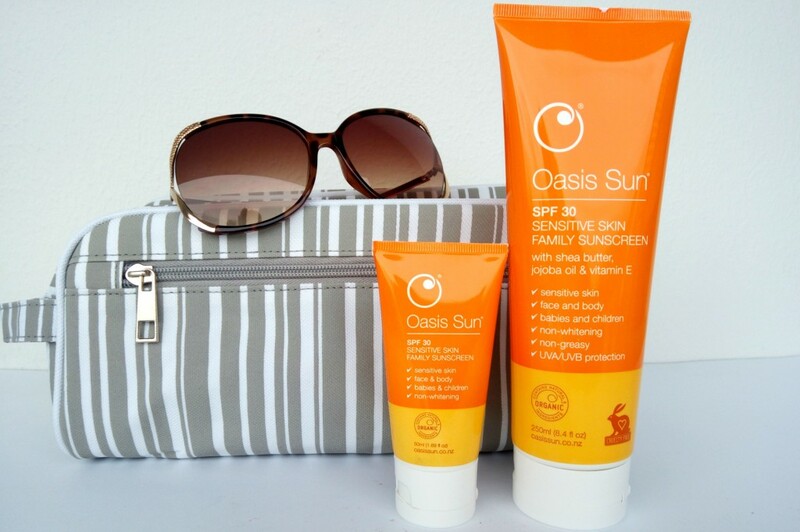 Oasis Sun is NZ’s healthy family sunscreen for sensitive skin, face and body. 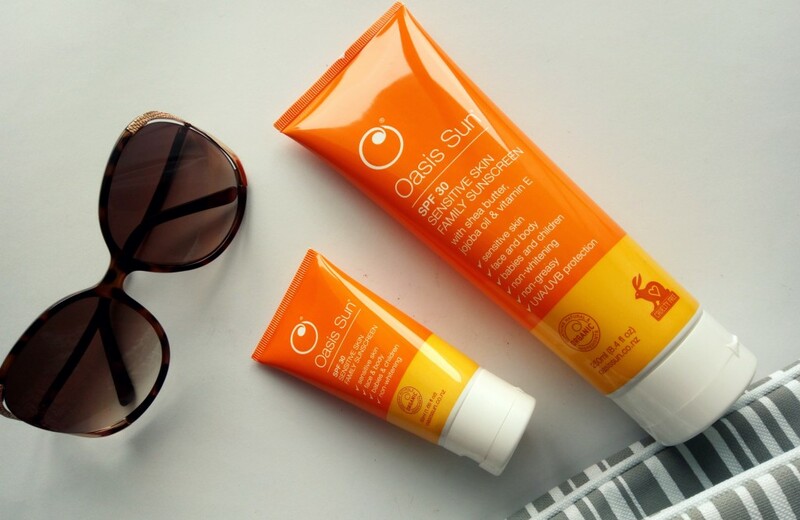 Packed with extra ingredients such as jojoba oil, shea butter and vitamin E. Oasis Sun protects and moisturises the skin against wind, water and sunlight. Your new secret weapon against exposure. 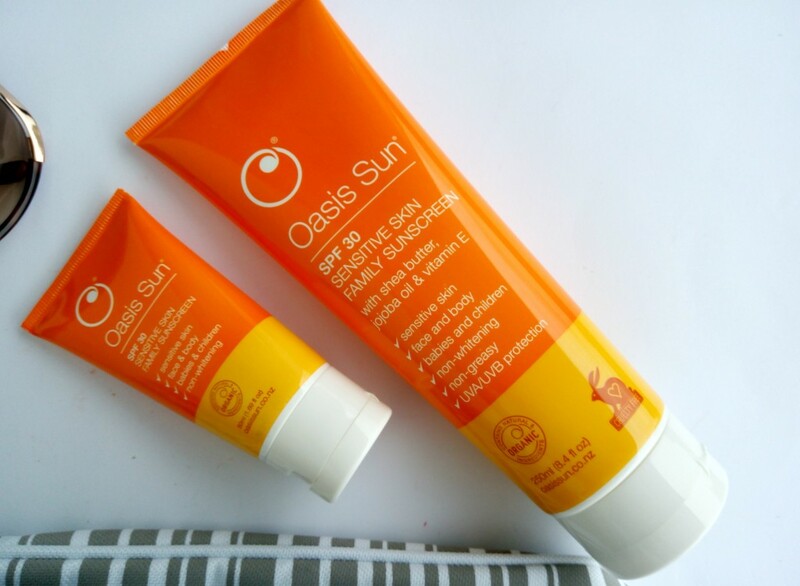 Oasis Sun SPF30+ was formulated by New Zealanders who are well aware of the importance of proper protection from the extremely harsh UV conditions in New Zealand. While using a sunscreen is extremely important. Most of the ones I have used gave a white cast that I totally hate. Also, selecting a sunblock/sunscreen is very tricky. The sunlight that reaches us is made up of two types of harmful rays: long wave ultraviolet A (UVA) and short wave ultraviolet B (UVB). Basically, UVA rays can age us and UVB rays can burn us. Overexposure to either can damage the skin. I always recommend everyone to use a sunblock with UVA and UVB protection, a SPF rating of at least 30, in a form that is gentle enough for daily use. 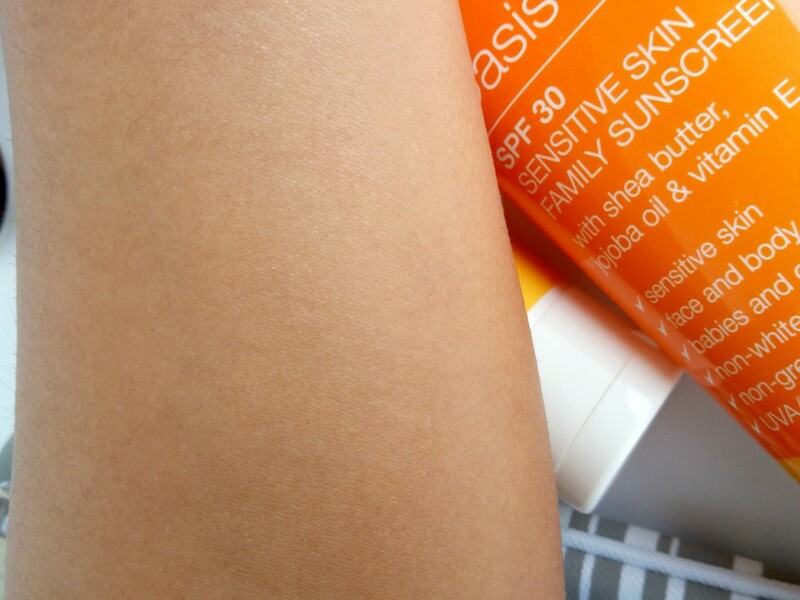 It’s a great advantage that this Oasis SPF 30 Sunscreen comes with UVA & UVB protection and is suitable for both face and body. Now, there are two wow factors on why I like this sunscreen – Once rubbed in well it doesn’t leave you looking greasy and white. it has a great consistency, very easy to blend in and apply too. There is no chemical smell to it and no white cast upon application. I have a sensitive facial skin and this one didn’t break me out. I applied this alone and under my makeup too. doesn’t feel sticky/heavy at all. It also contains certified organic jojoba oil, shea butter, lecithin and natural vitamin E to moisturize against wind, water and sunlight. Overall, I am very impressed with this sunscreen. travel size is great to take it on the go. Non sticky, non greasy, easy to blend and apply, no irritation on skin, no white cast – I am very impressed!